FRANKFURT -- Daimler said it is conducting an internal investigation of its certification process for diesel exhaust emissions in the United States at the request of the Justice Department. In early April, owners of U.S. Mercedes diesel cars filed a new class action, saying the vehicles likely contained a "defeat device" to turn off a system meant to reduce polluting nitrogen oxides in its exhaust. 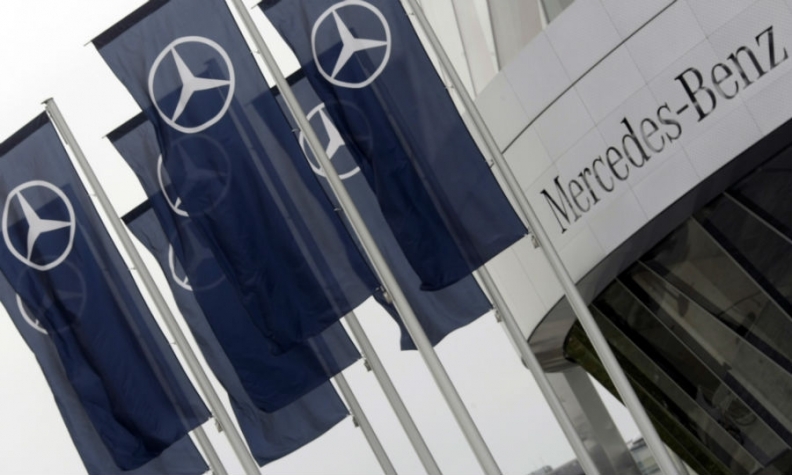 U.S. law firm Hagens Berman said new tests had shown that Mercedes BlueTEC cars produced nitrogen oxide emissions in virtually all road tests that were far higher than in controlled lab tests. Daimler called the class action "without merit." The company said it will appoint a law firm to aid in the probe. "Daimler is cooperating fully with the authorities. Daimler will consequently investigate possible indications of irregularities and of course take all necessary actions," the company said in a statement. Daimler Chief Financial Officer Bodo Uebber declined to elaborate on what prompted the investigation when the company published first-quarter earnings today. "We cannot go into details," Uebber told reporters as Daimler said first-quarter operating profit fell 9 percent as launch costs for its new E class and currency effects weighed down results. Sascha Gommel, a Frankfurt-based analyst with Commerzbank, said in an investors note today: "The investigation may be procedural. In any event, it’s unlikely to be an issue on the scale of Volkswagen." "In our view, these AECDs are not 'cheat devices' and each modern car has those as part of its engine management software," Ellinghorst wrote in an investors note. "However, these AECDs need to be declared when certifying engines. There might have been an issue in the U.S. certification process." Ellinghorst said he was surprised that the DOJ appears to be acting alone. In the Volkswagen case, the DOJ worked together with the Environmental Protection Agency (EPA) and the California Air Resources Board (CARB). "There might have been an issue in the US certification process but again, surprising to us that the DOJ is stepping ahead without mentioning the EPA or CARB in our view," he said. Daimler had previously told analysts at BNP Paribas that it had suffered delays in getting emissions certification for some variants of the Mercedes GLS and GLC sports utility vehicles, a function of additional scrutiny in the aftermath of the VW scandal. The Mercedes BlueTEC system uses urea to help rid exhaust fumes of health-threatening nitric oxides. It is fairly costly and used mainly in heavier cars such as Mercedes' large sedans and SUVs, which are equipped with powerful diesel engines. The DoJ investigation comes six months after the EPA said it would review all light-duty diesel vehicles in the United States after Volkswagen admitted to installing software in diesel vehicles sold since 2009 that allowed them to emit up to 40 times legally allowable pollution.